You don't have to wear knee-high waders to get the job done. Don't believe it? Just slip into these Timberland PRO Women's 63189 TiTAN Oxford Steel Toe Work EH Oil-Resistant Shoes. Sometimes, less is much, much more. That is the case with these oxford shoes. These ... (see full details) (see specifications) #TMBTB063189214. You don't have to wear knee-high waders to get the job done. Don't believe it? Just slip into these Timberland PRO Women's 63189 TiTAN Oxford Steel Toe Work EH Oil-Resistant Shoes. Sometimes, less is much, much more. That is the case with these oxford shoes. These TiTAN shoes were made using Timberland PRO's PowerFit Comfort System and are also backed by a 30-Day Comfort Guarantee. These low-cut Timberland PRO footwear are carefully constructed with full-grain brown leather, flexible and durable enough to support every step. The leather is attached to Timberland Pro rubber outsoles with cement construction that seals the two together in a stable bond. The antimicrobial inner lining of these steel toe shoes resists the build up of bacteria. The open-cell, dual-density insoles are made with lightweight polyurethane, a shock-absorbent material that softens impact when you wear these brown shoes. Contoured to complement your feet, these removable insoles can be cleaned at any time. An adaptive comfort cover on each insole even regulates foot temperature. The spacer mesh lining isn't just antimicrobial, it's made for moisture-management that reduces sweat. Lightweight nylon supports your tired muscles in the form of strain-reducing shanks in these slip-resistant shoes. The open-cell polyurethane footbeds were made using Outlast Adaptive Comfort technology to provide working feet with breathable comfort. The Timberland PRO rubber outsoles on these 63189 shoes resist abrasion and oil to prevent wear and tear from common chemicals and everyday use. Slip-resistance gives you a strong, gripping tread even in spite of wet weather and flooring hazards. 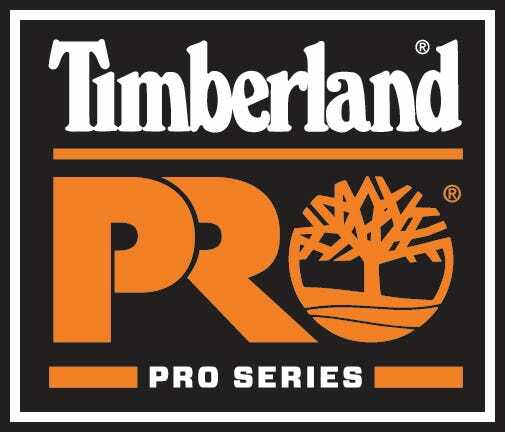 Timberland PRO TiTAN Oxford 63189 Brown Steel Toe Slip-Resistant Women's Shoes are small and compact, but they're still packed with the safety features you need on the job. ASTM approved, the alloy toes in the shoes help protect your tender toes from falling debris. Electrical Hazard certified, these EH shoes even absorb dangerous shock from open circuits that might otherwise compromise more than your comfort. You don't need a lot of leather to get through the day - you need just enough of the right materials to do the job. Timberland PRO Boots: Women's TiTAN Oxford 63189 Brown Steel Toe Work Shoes is being added to your cart.